This is just a quick announcement that ksuperkey has been updated to version 0.4. 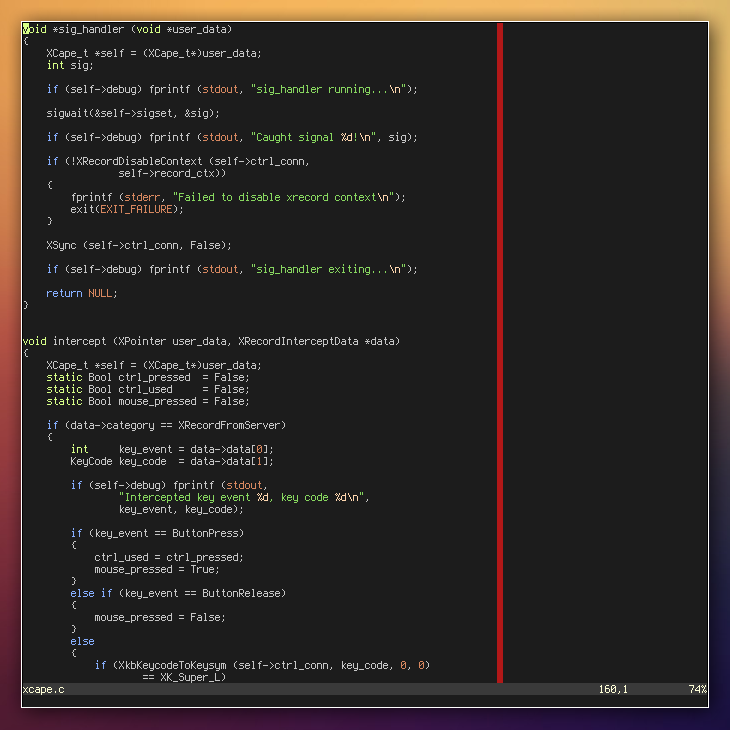 The new version brings some features from upstream (most importantly the ability to define mappings using keycodes) and an improved Makefile, which will hopefully make the application easier to package. ksuperkey is a small utility that allows you to use your Super key (sometimes called Meta or Windows key) to open your application menu, while keeping the functionality to use Super in keyboard shortcuts. In other words, ksuperkey won’t interfere with any of your existing shortcuts. It achieves this by letting Super act as a normal modifier key when pressed in combination with other keys, but generating a different keyboard combination (Alt+F1 by default) when the Super key is pressed and released on its own. You can easily install ksuperkey and try it for yourself following the instructions on Linux-apps (the application is now included in many distributions’ repositories, and even shipped with a few distros, which is really cool). After installing ksuperkey, you just have to make sure the shortcut for your application launcher is Alt+F1, add ksuperkey to autostart, and finally log out and log in again (or start ksuperkey manually). Detailed instructions here. 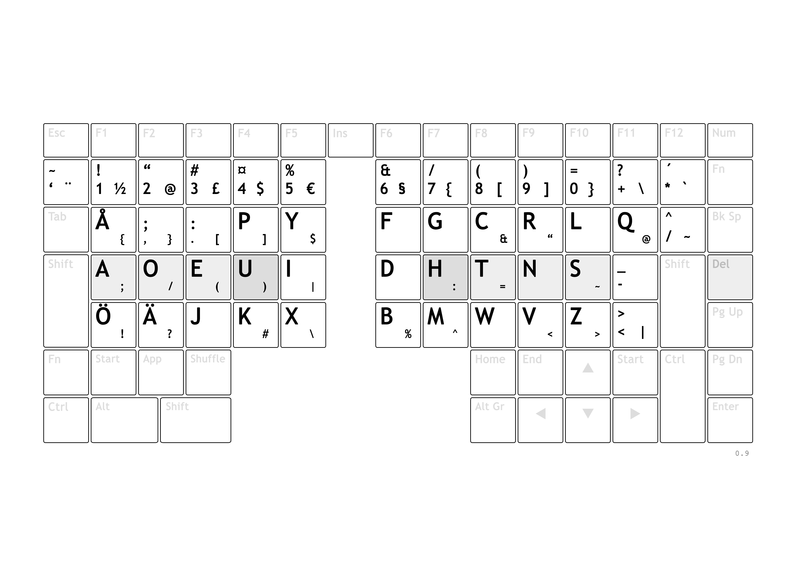 Note that ksuperkey only depends on X11 and should work perfectly fine in Plasma 5, as well as other desktop environments such as Xfce, LXDE, GNOME Shell, etc. Why not try ksuperkey with the new, shiny application dashboard in Plasma 5.4? If you run into problems or have any questions, feel free to drop a comment below. I’ll try to answer when I find some free time. If you know the best way to install ksuperkey on your distribution, and it’s not included in the list above, I would appreciate if you could leave a comment below. If the only way is to compile from source, that would be helpful information as well. Many popular distros are currently missing from the list, for example Mint, Debian, Fedora, Mageia, CentOS, Manjaro, Slackware, Gentoo, etc. Update August 17, 2016: Changed links to point to new Linux-apps.org site instead of KDE-apps.org. Today it’s been exactly two years (woah!) since my last post on this blog, which was about how the blog changed address to http://blog.hanschen.org. Two years is also the time I’ve spent so far on my Ph.D. Coincidence? I think not. Anyway, since it’s been so long and I’ve received questions asking if this blog had moved somewhere else, I just wanted to give you a quick update that everything’s fineplease save me and that I haven’t completely abandoned this blog yet. I’ve had a few posts saved in drafts for a while but never found the time or energy to flesh them out. Maybe I will someday. If you’re subscribed to any feeds or have bookmarked pages, please update the links by adding blog. in front of hanschen.org. The old address (hanschen.org) will continue to point to the blog until I’m finished with the new site. I’ll also try my best to keep old links intact. Please let me know if you find any dead links or other problems (either in the comments section below or in an email, see Contact page). Or any number of columns, but 80 seems to be the standard for code. Well, well, that looks much prettier. 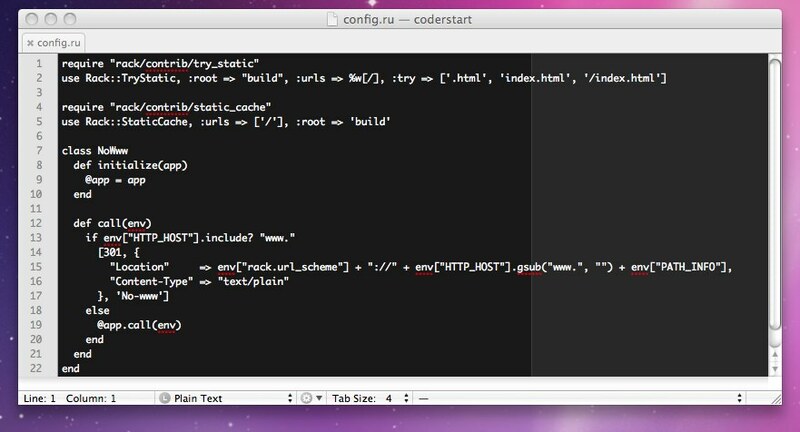 Is it possible to get something similar in Vim? 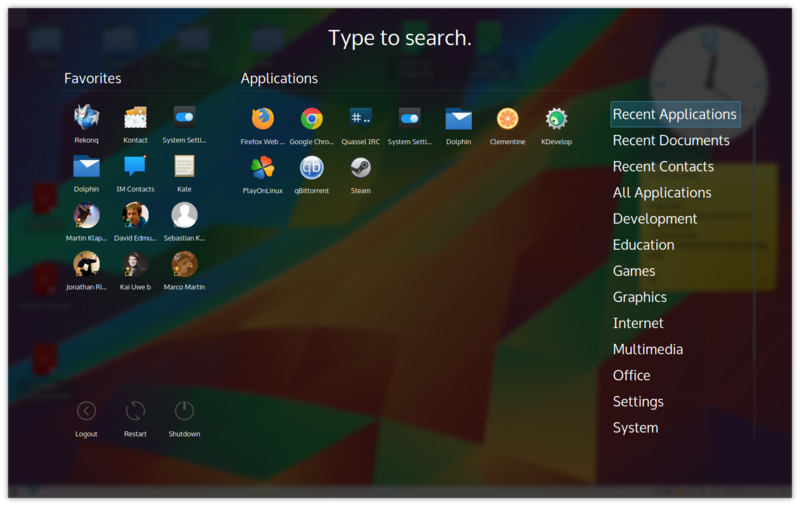 Many users want the Super key (also commonly called the Windows key and confused with the Meta key) to open the Application Launcher in KDE Plasma Desktop. At the time of writing 145 users have voted for the Brainstorm idea “Super key to load Application Menu” and there are 51 comments. 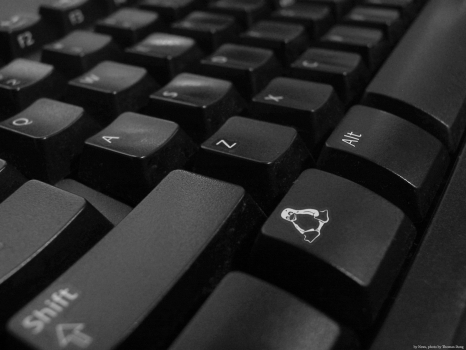 A workaround has been around for a long time which involves remapping the Super key to a regular key, but then you lose the ability to use it for other keyboard shortcuts. Until now, that is. In this post I’ll write about how you can eat the cake and have it too. Spoiler: If you don’t feel like reading, scroll down to “… called ksuperkey!” to find the solution. It’s been a while since I wrote about how you can create a community for your users at KDE Community Forums. Today I’m happy to announce that the forum got, not one or two, but six new forums. Isn’t that incredible? The KDevelop forum was the first to join. Here you can receive help for using the powerful KDevelop IDE, as well as help the developers, for example by sharing your screenshots. The Kexi developers have been very active in the new Kexi forum, asking for user’s wishes and sorting out problems in the General Help subforum. Soon Dolphin, the default KDE file manager, also got its own Dolphin forum. Before topics about Dolphin would be shattered around in the Other KDE Software and Workspace forums. We realized that the new Dolphin forum didn’t really fit in any of our existing categories, so the System & Utilities category was created. Marble is the first application from the KDE Educational Project to join the forums, visit the Marble forum to take a look. Don’t forget hat you still can ask questions about the other KDE EDU applications in the Games & Education parent forum. KDE Workspace Vision is a special kind of forum where users can discuss what they would like to see in their future workspace, see Dario’s post for more information. It differs from Brainstorm as you’re allowed to post and discuss complete visions, while only single concrete ideas are accepted in Brainstorm. Finally, we have our newest addition, the Konsole forum. Like Dolphin, topics about Konsole used to be posted to different places in the forum. Now most of them have been moved to their new home. Meanwhile, the KWin developers implemented a feature in KWin to get useful information for users to post when asking for support. It’s really great to see developers care about helping their users. Martin also proposed a GSoC idea about supporting users directly from the desktop (with a plasmoid), using forum.kde.org. Unfortunately it’s too late to apply, but who knows, maybe someone already did? If it’s not taken and you’re interested in given it a try, you should definitely contact Martin or one of the forum admins (forum-admin@kde.org). To close up – if you’re a user of any of those applications, the forums provide an easy way to connect with the community and receive expert help from other users and developers. If you’re a developer and want your own forum for your application, you’re just a few click away!